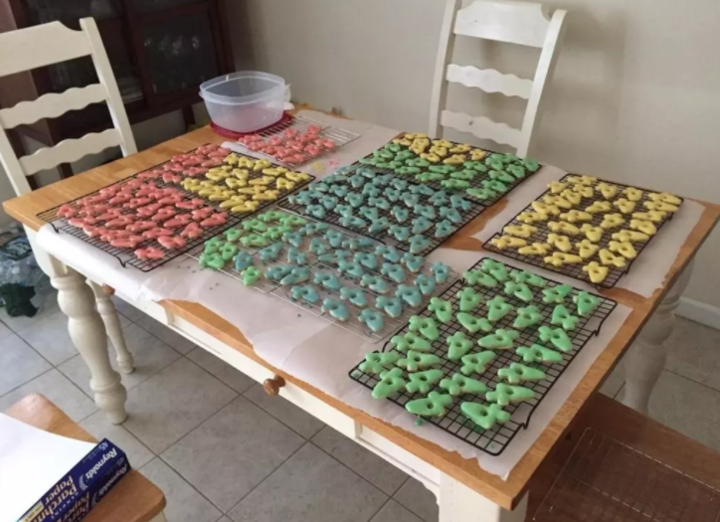 Jen, a mom from New Jersey, recently tried to recreate a very sweet family tradition. 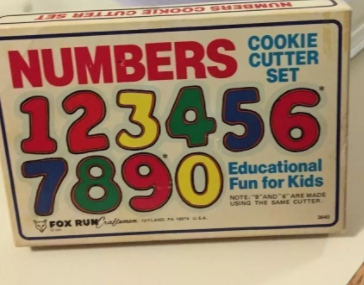 When she was born, her mom bought number cookie cutters to make cookies every year based on age. They were used for all of Jen’s and her sister’s birthdays. When Jen grew up, she started borrowing them from her mom and using them for her kids’ birthdays. For instance, here are some “4” cookies for her daughter’s fourth birthday. Jen’s daughter’s “4” cookies for her fourth birthday. Jen’s 11-month-old son’s first birthday is on June 17, and naturally, she wanted him to partake in the tradition as well. On Sunday, Jen decided to begin prep for her little guy’s big day. She and her husband, JT, are planning a party and wanted to bake “1” cookies to put in people’s goodie bags. Jen figured she could bake them on Sunday, freeze them and they’d be as good as new the day of the party. Jen got to work. She baked up her cookies and iced them. As they were cooling, her husband JT walked into the kitchen and took a long, hard look at the cookies. “They looked like something else,” JT told HuffPost. 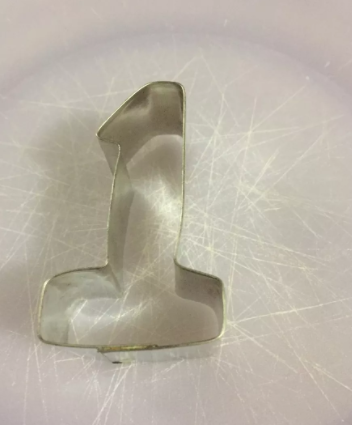 These cookies resemble something else. “She gave me a defiant ‘NO! They look like ones’,” JT said. 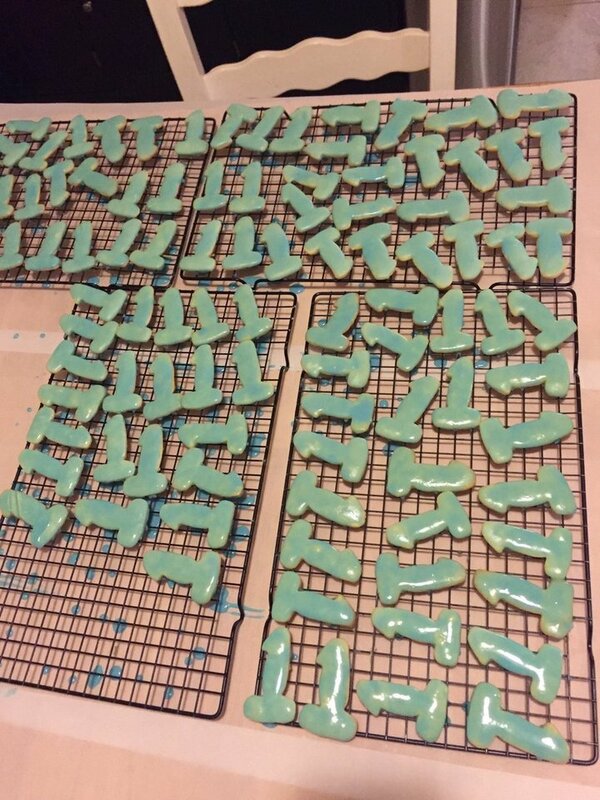 But JT disagreed with his wife, and found their resemblance to something completely different than a number so amusing, he decided to snap a photo of the cookies and post them on Twitter. The post quickly went viral, receiving 35,000 likes and 12,000 retweets. Many people agreed with JT, tweeting out photos and GIFs that illustrated that they saw exactly what the amused husband saw as well. And JT admits he’s had this thought before. As for Jen, who JT describes as “a very sweet and innocent person,” she’s still in denial. “She just shakes her head and says that people are going to see what they want to see,” JT said.